The new evidence, recently uncovered by World Mercury Project, shows that Thorsen and his collaborators did not obtain permission from an Institutional Review Board (IRB) to conduct their research, which was published in the New England Journal of Medicine in 2002 and Pediatrics in 2003. In 2011, The Department of Justice indicted Thorsen on 22 counts of wire fraud and money laundering for stealing over $1 million in CDC grant money earmarked for autism research. The product of Thorsen’s work for CDC was a series of fraud-tainted articles on Danish autism rates that, today, form the backbone of the popular orthodoxy that vaccines don’t cause autism. Poul Thorsen is a key figure in the shaky research that denied justice to thousands of families whose children suffered a vaccine related neurological injury (brain and nervous system) that developed into autism spectrum disorder (ASD or autism). Thorsen’s influence on US vaccine projects and policies is extensive. The studies he led had strong influence on the review and outcomes of the Institute of Medicine (now known as the National Academy of Medicine) of the National Academy of Sciences when looking at thimerosal in vaccines. 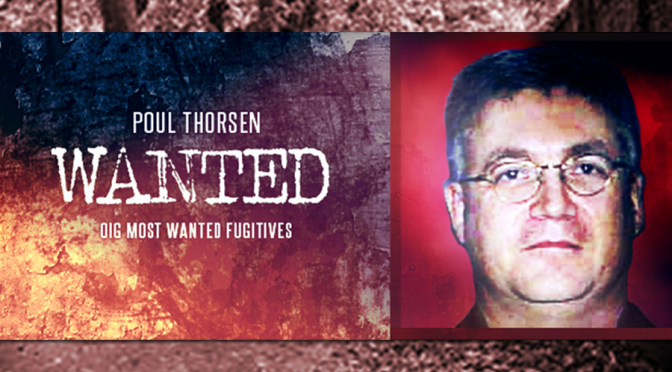 Today, Thorsen is a fugitive from justice since a warrant for his arrest was issued in April 2001. Thorsen was added to the HHS Office of Inspector General’s ‘Most Wanted’ list in April 2012. Besearch had Prosecut01.’8 in the United States are seeking to extradite a Danish scientist researching the relationship between autism and vaccines, who, they allege, stole more than US$1 million in research funding. Poul Thorsen was a visiting scientist at the Centers for Disease Control and Prevention (CDC) in Atlanta in the 1990s. US prosecutors say that after returning to Denmark in 2002, Thorsen submitted fa1se invoices from the CDC to Aarhus University, which unknowingly funds to his personal account. He was last week charged with 13 counts of wire fraud and 9 of money laundering. Further complicating the CDC’s role in undermining the research is the fact that the vaccine safety studies produced by the CDC are impossible to reproduce. External researchers are not granted the same level of access to the raw data sets that the CDC’s internal researchers are granted. The bottom line is that the CDC studies related to vaccine safety cannot be validated by external researchers, a critical component in demonstrating the validity of scientific findings. The CDC’s recently convened Blue Ribbon Panel to examine how the CDC might better review vaccine safety is a step in the right direction. However, I do not hold out much hope because the panel is limited in its scope. Much like the IOM was limited in the outcome they were allowed to draw, this panel is limited to deciding where within CDC vaccine safety monitoring should be housed. 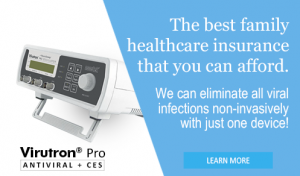 The NIH recently recognized the importance of moving patient safety monitoring out of the NIH. I believe the same should be done with vaccine monitoring. It should be completely removed from CDC’s jurisdiction. The CDC is too conflicted to oversee this function. Poul Thorsen, a prominent researcher responsible for a series of epidemiological studies which utilized the Danish Psychiatric Central Research Register reviewed in this report was indicted April 13th, 2011 by a federal grand jury on 13 counts of fraud and 9 counts of money laundering based on a scheme to steal grant money the CDC had awarded to governmental agencies in Denmark for autism research. My daughter was severely damaged by the dpt vaccine in 1994. I don’t really care what people think about this issue, and vaccines are mystery injections. If the mfg’s. won’t clean them up and can’t deliver the shot without neurotoxins, the idea should be modified. Pediatricians need a more ethical way to make a living.